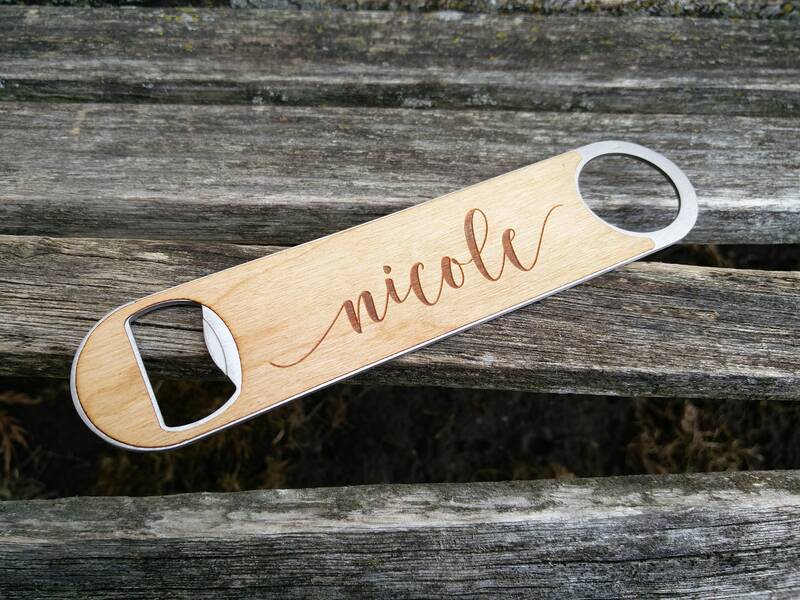 These bottle openers can be engraved with whatever you want! 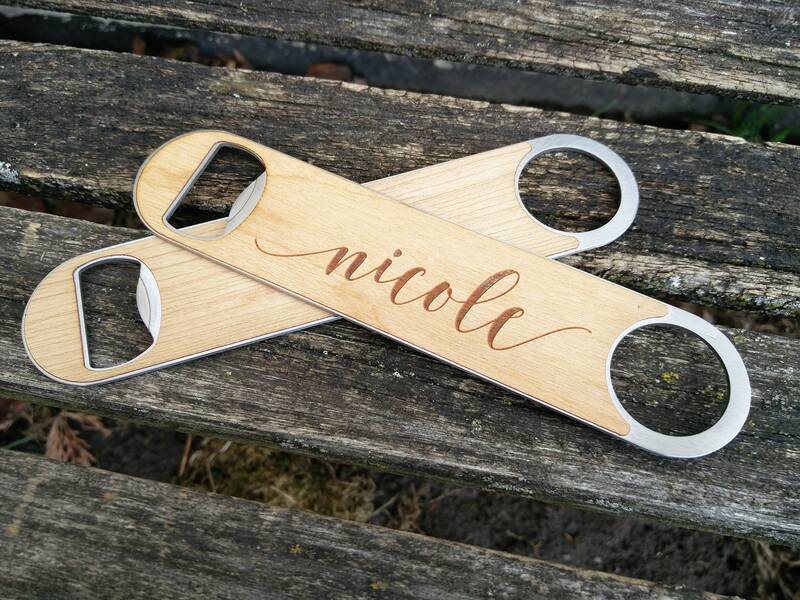 They make great gifts for weddings, moms, dads, anniversaries, birthdays, or any other occasion. We can do names or logos or other fun stuff. 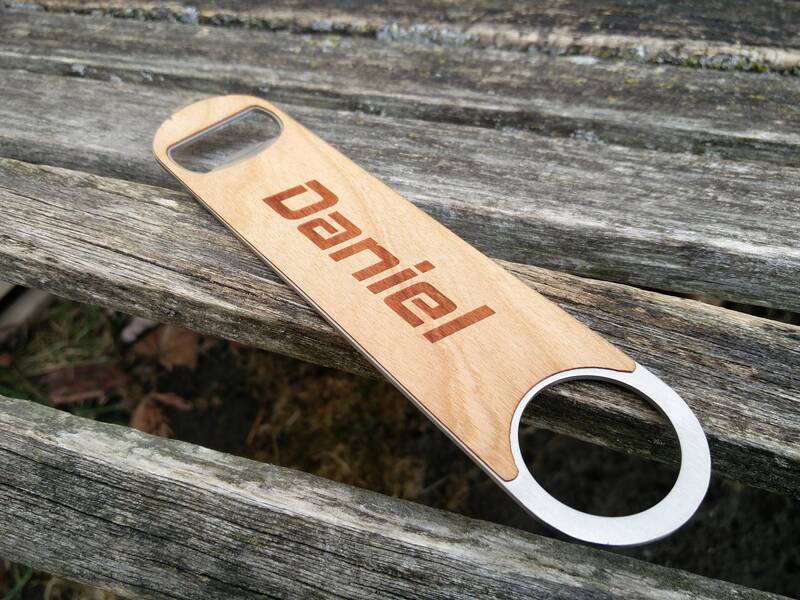 These bottle openers are stainless steel and wood. They measures 7" long and 1.5" wide. ---> Select the number of openers that you need from the drop down menu that says "Select Quantity Here" and if you want engravings on one side or on both sides. 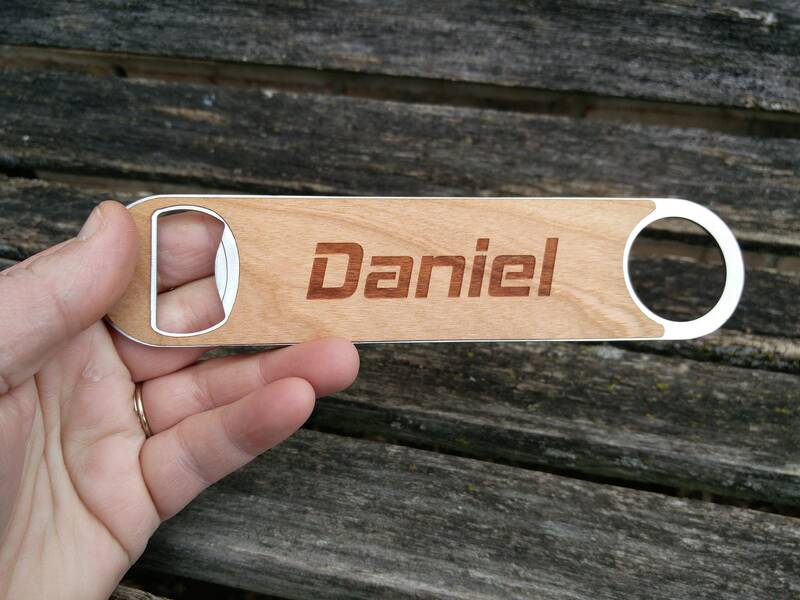 ---> PLEASE LEAVE ME A NOTE WITH WHAT YOU WANT ENGRAVED ON EACH ONE. If you want a logo, please send us the image, so we can make sure it can be transferred into our software. Logos must not be too complex. ---> LET US KNOW IF YOU WANT A CUSTOM FONT/FONTS. Or you can pick one from the photos. Or we can just pick a cool one for you! 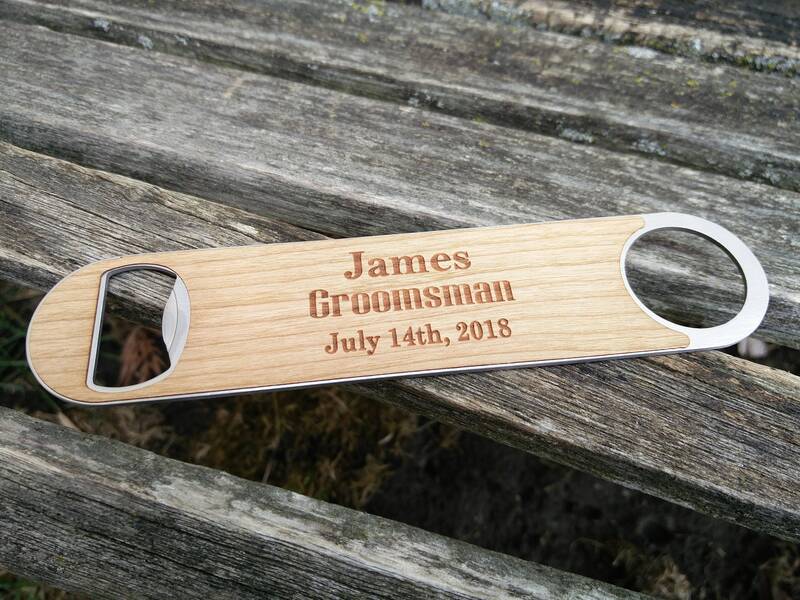 If you have questions about something custom you want engraved on there, please send me a message. 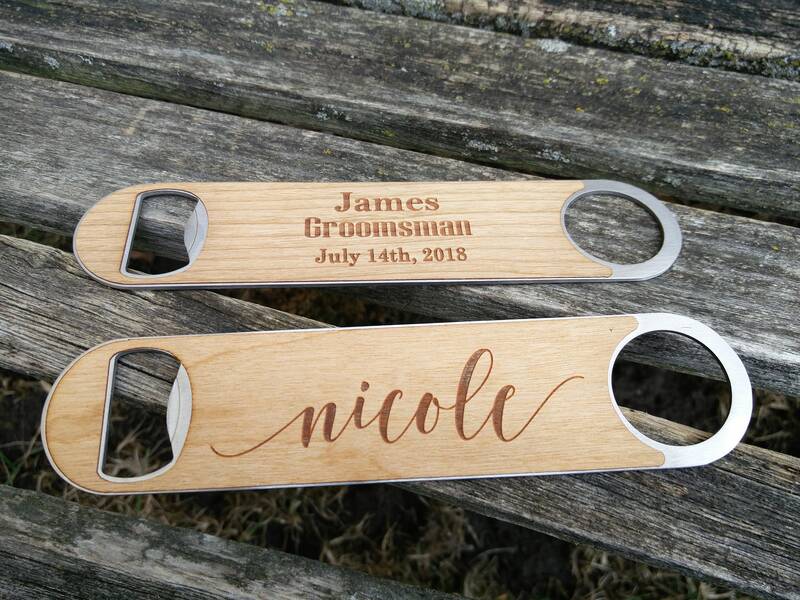 I would love to work with you on a custom order!